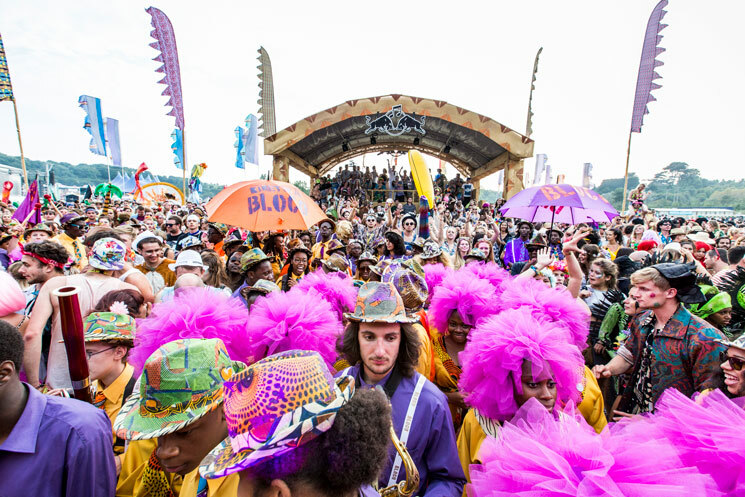 Long before it was the taste of Toronto, summer music festival staple Bestival has been busy drawing thousands of dance and indie music fans alike to the Isle of Wight, and this year will be no different. In case you couldn't make it across the pond to take in the festival's 12th annual edition, Exclaim! and Red Bull TV have got you covered. We're pleased to offer the Canadian exclusive livestream of the festival, which runs from September 9 to 11 this year. Artists set to perform at this year's broadcast include Major Lazer, Odesza, Benjamin Damage, Tourist, Creeper, Ride, Will Varley, Xylaroo, Kitty Daisy & Lewis, Royce Wood Junior, the Wytches, Milk Teeth, Fickle Friends, This Is The Kit, Black Honey and Anne-Marie, as well as many more set to be announced over the coming days. Watch the live stream starting at 2 p.m. EDT on September 9 in the player below, where you can also keep up-to-date on the full streaming schedule.